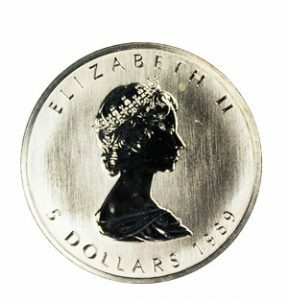 Each contains a minimum of one troy ounce of 99.9% pure silver. 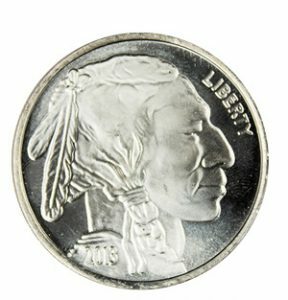 The obverse design is based on Adolph A. Weinman’s 1916 “Walking Liberty” half dollar, widely considered one of the most beautiful American coins ever minted. The reverse was designed by John Mercanti. 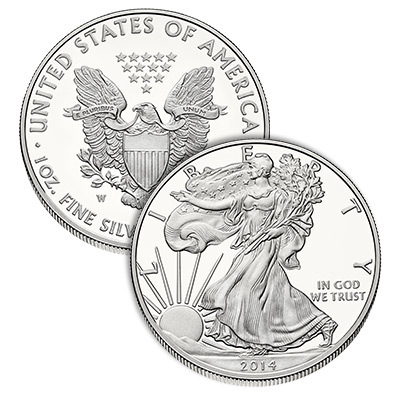 The obverse features Lady Liberty walking, with a flowing American flag and the rising sun behind her, while carrying several branches of laurel and oak, symbolic of civil and military glory, in her arms. 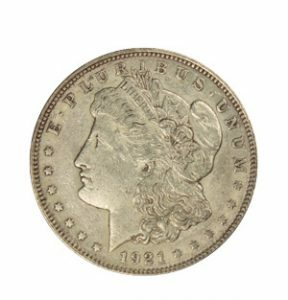 The word liberty in large lettering surrounds the coin’s top half. In God We Trust is placed to the side, as found on many U.S. coins. The reverse depicts an American eagle with wings outspread, behind a striped shield. It is grasping an olive branch and arrows in it’s talons. A banner spreading across the front of the eagle and being held in it’s beak displays the Latin words “E Pluribus Unum”, the same phrase found on U.S. Dollar bills, meaning “Out Of Many, One”. A floating field of 13 five point stars appear above the eagle, representing the 13 originial colonies.